Yai is an estuarine–Siamese hybrid. 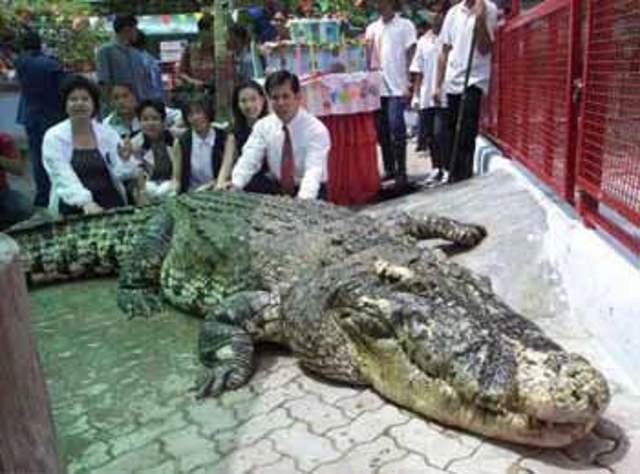 It is at the Samut Prakan Crocodile Farm and Zoo in Thailand. The length of Yai is between 5.5 and 6 m long (different sources give different lengths).